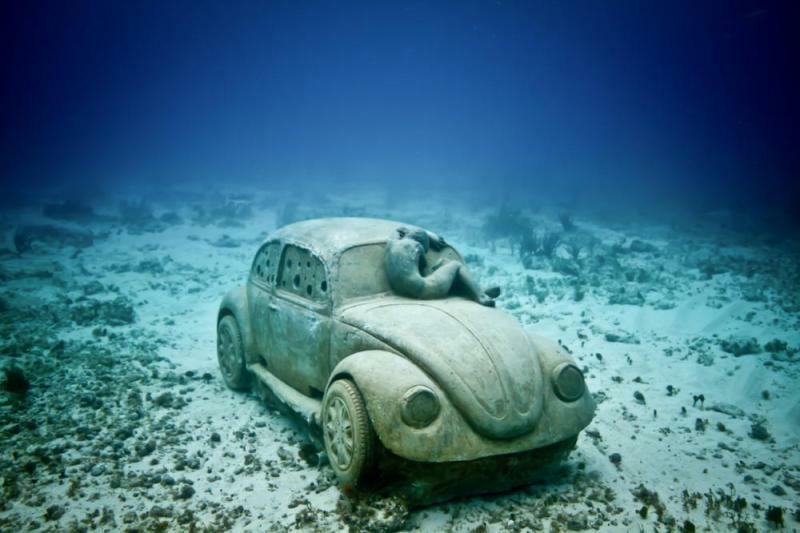 With 500 statues made ​​specifically to become coral reefs and a wide variety of people animals and even cars, this is a divers choice for both new and advanced divers! 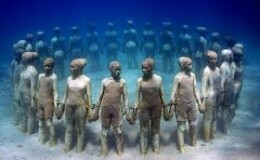 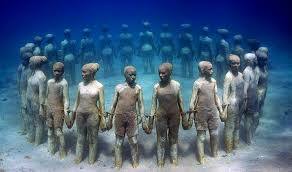 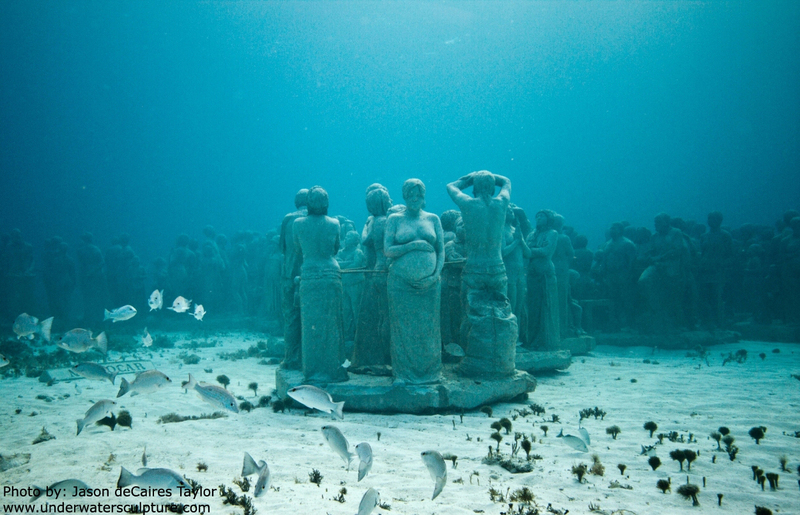 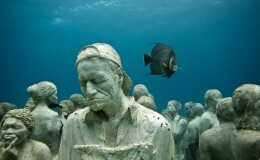 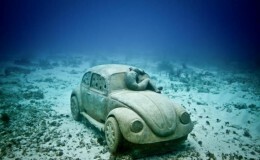 The Cancun Underwater Museum’s 500 sculptures span two galleries submerged between three and six meters deep and took four years to complete. 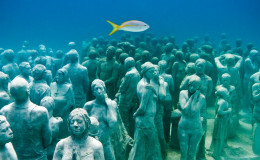 It is to be noted that while 477 are in the Manchones National Marine Park, the other 23 sculptures are located at the Punta Nizuc site. 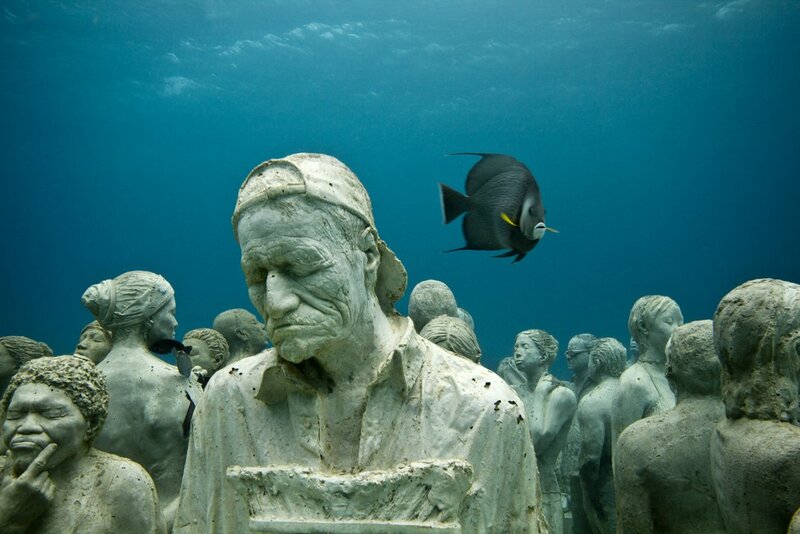 The project was originally started in 2009 by MUSA a non-profit organization based out of Cancun Mexico and completed in 2013. 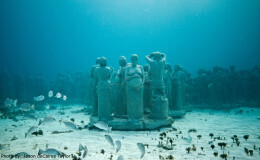 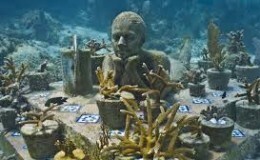 One of the most involved artist, Jason deCaires Taylor’s, calls the collection of sculptures the “Silent Evolution.” Taylor’s investment of 18 months and 120 Tons of concrete was purely for the creation of artificial reefs. 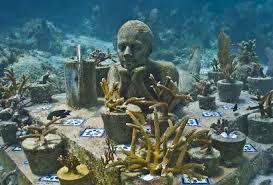 While the museum is a huge benefit to the tourist, it is also a great benefit for the protection of the coral reef especially since each stature was created with PH-Neutral Cement.